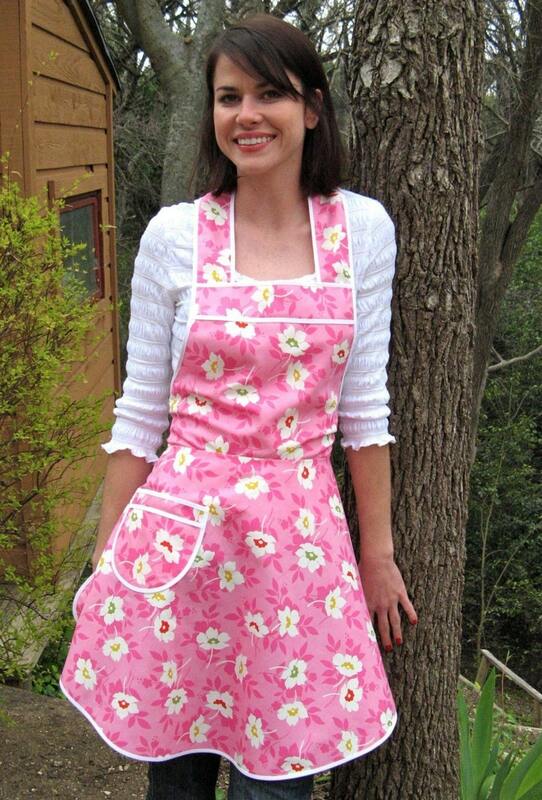 WHY NOT BE PRETTY IN A NEW PINK APRON? Pretty pink "Swing Toss" print from Heather Bailey's Nicey Jane Collection, will make you feel unbelievably sweet. Sweet pinafore style apron is cut entirely on the bias for a nice drape. Pattern placement may vary. Apron is 29 inches in length from top of bib to hem. Tie end to tie end is approximately 53 inches. This cool retro apron is flirty, feminine, and flattering. NOTE: This apron is now only available in the standard size which fits most small to medium sizes. Pleas see my profile for additional sizing information. These aprons are lovely. They were custom made quickly and beautifully.